You’ll be heading off to college soon and you’re all excited. There’s just one problem. You need a student loan but you have no credit. The worst case scenario is, you have bad credit. Getting student loans with bad credit might seem like an impossible thing to accomplish, but there are still some solutions out there. You only have to be willing to exhaust those few solutions available to you and make use of them well. Here are some things you should know first before embarking on finding solutions to your student loan problem. 10. Seek assistance from the financial aid office of your college. For concerns regarding student loans, do not hesitate to consult with an officer from the financial aid office of your college. 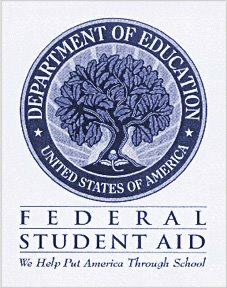 The financial aid office of a college keeps records of lending agencies that have been successful in providing loans to their students. Some trusted private lenders form affiliations with some colleges, and offer reasonable student loan rates and terms. 9. Opt for private student loans. 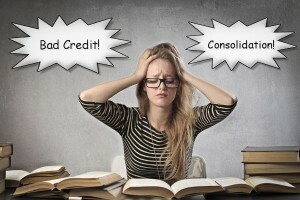 Banks, credit unions, and other accredited lenders are authorized to provide student loans. When you visit the FAFSA website, you can access a list of preferred lenders by some universities. These private lenders are highly trusted and have been chosen based on the quality of their customer service, counseling programs, problem-solving skills, plus terms and conditions. When consulting a bank officer or private lender, remember to emphasize that you are applying for a private student loan. A private student loan offers deferred payments, while a personal loan usually requires that you pay them immediately. Also, it’s better to get loans in small amounts so you’re more likely able to pay them back than not. 8. Compare rates and terms and look out for the best offer. Remember that when taking a student loan from a bank or private lender, the interest rates and terms offered to you would depend on your credit report. Those with a good credit can expect to get better interest rates and terms. But since you have a bad credit report, you are considered a “high risk borrower”, and as such, you’ll be given a higher interest rate. What you can do is to call or visit local banks to ask them about their available loan options. Be upfront about your bad credit. 7. Choose a trustworthy co-signer. Having a co-signer is a very viable option. Choose a co-signer with a sound credit standing, has always paid on time, and has rarely missed a payment. It could be a parent, a relative, or trusted friend. Getting a co-signer requires trust on both parties. Keep in mind that your co-signer is also taking a huge risk and counts on your responsibility to pay dues on time. If you missed a payment or you’re late, it’s not only you who’ll get a call from your lender, but also your co-signer. If by any chance, you couldn’t pay your due, it’s your co-signer’s responsibility to do so. 6. Be wary of predatory lenders. Beware of private lenders who lure victims with promises of providing student loans with bad credit and no co-signer. There are entities out there who have an eye out for preying on desperate individuals. Those with bad credit and working to exhaust all possible means of acquiring loans are particularly very vulnerable. Both the student and parent should read and understand the lending contract first before signing it. Some contracts have hidden clauses indicated in the fine print that allow them to increase interest rates drastically and without prior notice. That’s what you should look out for and avoid. 5. Opt for a PLUS loan. There is such a thing as a Federal Parent Loan for Undergraduate Students (PLUS). Parents of dependent undergraduate students, graduate students, or professional degree students who attend at least half time are eligible for this type of loan. This loan helps pay for other education expenses that aren’t covered by other kinds of financial aid. PLUS loan payments are not deferred. 4. Opt for a Federal Perkins loan. A Federal Perkins loan is a need-based, low-interest student loan offered to undergraduate and graduate students with extreme need for financial help. The interest rate is 5%. 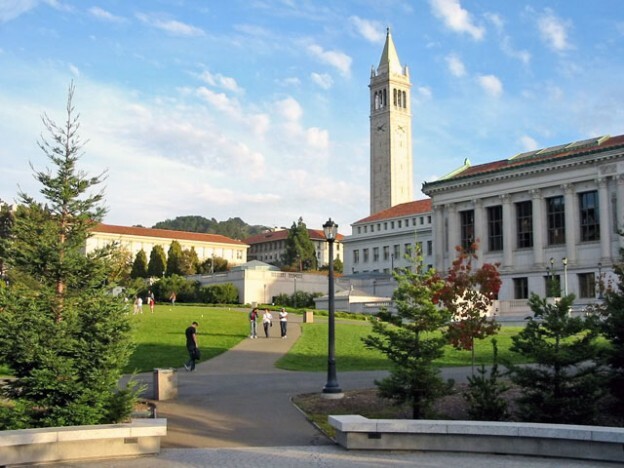 The funds provided would depend on a student’s financial need and the availability of funds in his college, because in this case, the college is the lender. 3. Opt for a Stafford loan. A Stafford loan is one of the most common forms of federal financial aid. It is a fixed-rate student loan given to an undergraduate or graduate student. The student must attend at least half-time. The amount of financial aid offered can go between $3,500 – $20,500 per year, depending on the student and the year of schooling. 2. Opt for a Pell Grant. A Pell Grant is a form of federal financial aid given to undergraduate students. The amount of financial aid you’ll receive will depend on your financial need and cost of tuition in your college. Unlike a student loan, a Pell Grant does not have to be repaid. 1. Seek other types of federal aid. The government provides many types of federal student loans and most of them do not require a credit check. In fact, eligible students are encouraged to try out federal aid first before going to private lenders. Federal loan interest rates and terms are better than those by private lenders because the government is more concerned in helping make education affordable for the public. Aside from federal student loans, the government also offers grants, scholarships, and work study programs. To apply for federal aid, complete the FAFSA (Free Application for Federal Student Aid) form online and submit. You can access it at the FAFSA website. Just complete the requirements, pay attention to deadlines, and inform the admissions office of your college regarding your federal aid. Remember to check the FAFSA website regularly for announcements and updates.